Filosofía para médicos. Barcelona, Buenos Aires: Gedisa, 2013. Filosofía de la técnica. Lima: Universidad Garcilaso de la Vega, 2012. Evaluating Philosophies. Boston Studies in the Philosophy of Science, vol. 295. Dordrecht, Heidelberg, London, New York: Springer, 2012. Tratado de filosofía, tomo 4: Un mundo de sistemas. Spanish translation of #48. Barcelona: Gedisa, 2012. Provocaciones. Buenos Aires: EDHASA, 2011. Tratado de filosofía, tomo 3: El moblaje del mundo. Spanish translation of #46. Barcelona: Gedisa, 2011. Las pseudociencias ¡vaya timo! Pamplona (Spain): Laetoli, 2010. Caçando a realidade. Portuguese translation of #122. Sao Paulo: Perspectiva, 2010. Matter and Mind. Boston Studies in the Philosophy of Science, vol. 287. Dordrecht, Heidelberg, London, New York: Springer, 2010. Political Philosophy (Transaction Publishers, 2009). Chasing Reality: Strife over Realism (University of Toronto Press, 2006). 100 ideas (Buenos Aires: Sudamericana, 2006). Una filosofía realista para el nuevo siglo. Lima: Universidad Inca Garcilaso de la Vega, 2007. Deu assaigs filososòfics i una diatriba exasperada. Girona: Documenta Universitaria, 2007. Filosofía y sociedad. México, D.F. : Siglo xxi, 2008. Tratado de filosofía, tomo 1: Semántica I. Spanish translation of # 37.Barcelona: Gedisa, 2008. Foundations of Biophilosophy , with Martin Mahner. Japanese translation of # 91. Tokyo: Springer, 2008. Le matérialisme scientifique . Paris: Syllepse, 2008. Political Philosophy: Fact, Fiction, and Vision. New Brunswick, NJ: Transaction Publishers, 2008. Causality in Modern Science, 4th ed. New Brunswick, NJ: Transaction Publishers, 2008. Causality: The Place of the Causal Principle in Modern Science ( Harvard University Press, 1959). Reissued as Causality in Modern Science (Dover ,1979). Translated into German, Hungarian, Italian, Japanese, Polish, Russian, and Spanish. Metascientific Queries (Charles C. Thomas,1959). Intuition and Science (Prentice-Hall, 1962. Greenwood Press, 1975). Translated into Russian and Spanish. The Myth of Simplicity. (Prentice-Hall, 1963). Scientific Research , 2 volumes (Springer, 1967). Reissued as Philosophy of Science (Transaction Publishers, 1998). Translated into Spanish. Foundations of Physics (Springer, 1967). Philosophy of Physics. (Reidel, 1973). Translated into French, Italian, Portuguese, Rusian, and Spanish. Method, Model and Matter ( Reidel, 1973). The Mind-Body Problem (Pergamon, 1980). Translated into German and Spanish. Epistemologia (Ariel, 1980). Translated into German, Portuguese and Spanish. Ciencia y desarrollo (Siglo Veinte, 1980). Translated into Portuguese. Scientific Materialism (Reidel,1981). Translated into Spanish. Philosophical Problems in Linguistics. In Japanese. Tokyo: Seishin-Shobo, 1986. Philosophy of Psychology , with Ruben Ardila (Springer, 1987). Translated into German and Spanish. Treatise on Basic Philosophy , 8 volumes on semantics, ontology, epistemology, philosophy of science and technology, and axiology and ethics (Reidel, 1984-89). La science, sa methode et sa philosophie. (Internet, 1996). Finding Philosophy in Social Science (Yale University Press, 1996). Intuition et raison (Internet, 1996). Foundations of Biophilosophy , with Martin Mahner (Springer, 1997). Philosophy of Science: From Problem to Theory, Vol. 1 (Transaction Publishers, 1998). Philosophy of Science: From Explanation to Justification, Vol. 2 (Transaction Publishers, 1998). Social Science Under Debate (University of Toronto Press, 1998). Critical Approaches to Science and Philosophy (Transaction Publishers, 1998). Dictionary of Philosophy (Prometheus Books, 1998). The Sociology -Philosophy Connection (Transaction Publishers, 1999). Philosophische Grundlagen der Biologie. Translation of #91 plus preface by Gerhard Vollmer. Preface by Gerhard Vollmer. (Berlin-Heidelberg-New York: Springer-Verlag, 2000.). Fundamentos de la biofilosofia. Translation of #91. (Mexico-Buenos Aires: Siglo Veintiuno Editores, 2000). Philosophy in Crisis: The Need for Reconstruction. (Amherst NY: Prometheus Books, 2001). Diccionario de filosofia. Spanish transl. of # 104. (Mexico: Siglo XXI Editores, 2001). Scientific Realism: Selected Essays by Mario Bunge. Ed. Martin Mahner. (Amherst, NY: Prometheus Books, 2001). Ser, saber, hacer. (Mexico City: Paidos-Universidad Nacional Autonoma de Mexico, 2002). Filosofia de la psicologia, with Ruben Ardila, 2nd ed. (Mexico Buenos Aires: Siglo Veintiuno Editores, 2002). El problema mente - cerebro. Reprint (Madrid: Tecnos, 2002). Crisis y reconstrucción de la filosofía Barcelona and Buenos Aires :Gedisa, 2002. Filosofía de la psicología , with R. Ardila, 2d ed. MÈxico, D.F. : Siglo XXI, 2002. Philosophical Dictionary, 2d enlarged ed . Amherst NY: Prometheus Books, 2003. Spanish and Portugese translations. Emergence and Convergence (Toronto: University of Toronto Press,2003). Mitos, hechos y razones (Buenos Aires: Sudamericana, 2004). Ueber die Nature der Dinge, with Martin Mahner (Stuttgart: Hirzel, 2004). "Max Weber did not practice the philosophy he preached." In L. McFalls, ed., Max Weber’s “Objectivity” Revisited , pp. 119-134. Toronto: University of Toronto Press, 2007. "The philoosophy behind pseudoscience", Skeptical Inquirer 30 (4) 29-27 (2006). "A systemic perspective on crime", in P.-O. Wikstrom and R. Sampson, eds. , The Explanation of Crime (Cambridge: Cambridge university Press, 2006). Velocity operators and time-energy relations in relativistic quantum mechanics. International Journal of Theoretical Physics 42: 135-142, 2003. Philosophy of science and technology: A personal report. In Guttorm Fløistad, ed., Philosophy of Latin America, pp. 235-272. Dordrecht: Kluwer, 2003. Twenty-five centuries of quantum physics: From Pythagoras to us, and from subjectivism to realism. Science & Education 12: 445-466, 2003. Preceded by Michael R. Matthews' "Mario Bunge: Physicist and philosopher", pp. 431-444. Followed by 6 papers, commenting on the target article, by Massimo Pauri, John Forge, Jean-Marc Lévy-Leblond, Alberto Cordero, Adrian Heathcote, and Marcello Cini. Quantons are quaint but basic and real: Reply to my critics. Science & Education 12: 587-597, 2003. How to handle the goose that lays golden eggs. Graduate Researcher 1:41-42. 2003. Los médicos ignoran la filosofía a a su riesgo y al nuestro Desideratum(Lima)3, No. 3, 66-76, 2003. Interpretation and hypothesis in social studies. In R. Boudon, M. Cherkaouki & P. Demeulenaere, eds., The European Tradition in Qualitative Research, Vol. IV, pp. 20-40. London: Sage Publications, 2003. Vinte e cinco séculos de física quántica. Gazeta de Física (Sociedade Portuguea de Física), v. 25, No. 3, 4-12, 2002. Introduction to Robert K. Merton, Teoría y estructura sociales , pp.1-8. México, D.F. : Fondo de Cultura Económica, 2002. 486. Teófilo Isnardi, el primer filósofo de la física argentino. Revista de enseñanza de la física 15, No. 1: 23-24, 2002. 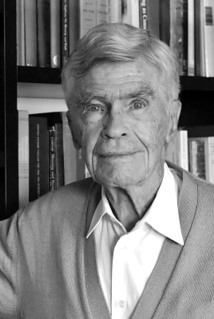 Raul Serroni-Copello, Encuentros con Mario Bunge (Asociación de Investigaciones en Psicologia, 1989). Paul Weingartner and Georg Dorn, Eds., Studies on Bunge's Treatise (Rodopi, 1990). Laurent-Michel Vacher, Entretiens avec Mario Bunge (Liber, 1993). Systems and Mechanisms: A Symposium on Mario Bunge's Philosophy of Social Science, Philosophy of the Social Science, vol. 34, Nos. 2 and 3, 2004.